Thunderbird is a free, open source, cross-platform e-mail client and developed by the Mozilla Foundation. Open the Thunderbird program. Click the menu button. And go to Help -> Troubleshooting Information. 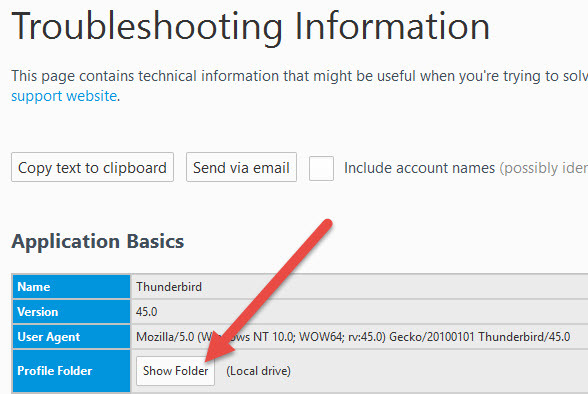 In the new Troubleshooting Information window, click the Show Folder (in windows) or Open Directory (in Ubuntu) button. It will open the thunderbird current profile folder. Just exit the thunderbird program and copy all files from thunderbird profile folder. 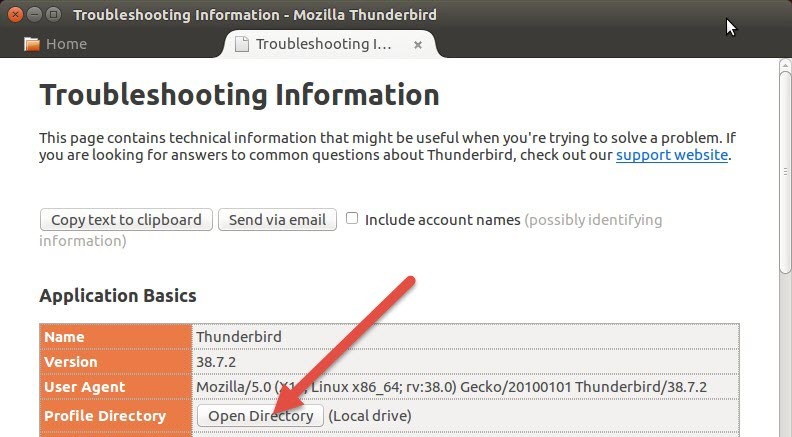 Close thunderbird program from ubuntu. Open your terminal. 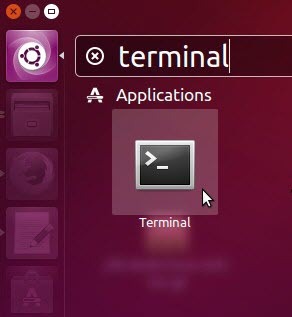 To open terminal click the Dash home from unity launcher.And type terminal in the search field.And click Terminal. 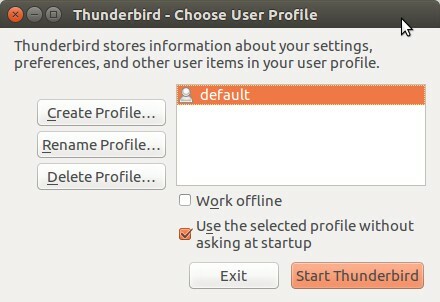 Thunderbird Profile Manager will open. Click on Create profile button to create a new profile. Enter the some profile name and then click finish. If you decide to set up Thunderbird with more than one profile, uncheck the Don’t Ask At Startup box.Open the Thunderbird program. Click the menu button. And go to Help -> Troubleshooting Information. 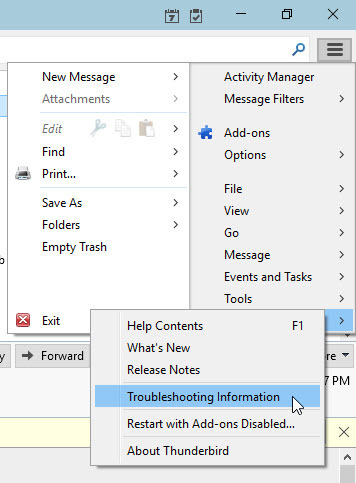 In the new Troubleshooting Information window, click the Open Directory button. It will open the thunderbird current profile folder. 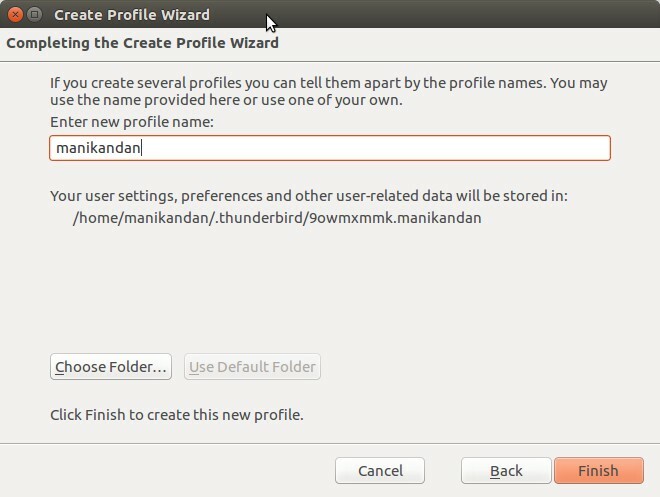 Then close thunderbird program from ubuntu and paste all copied data from your old profile to this folder. Restoration of your thunderbird email profile is now complete.Just Restart thunderbird.